News flash! 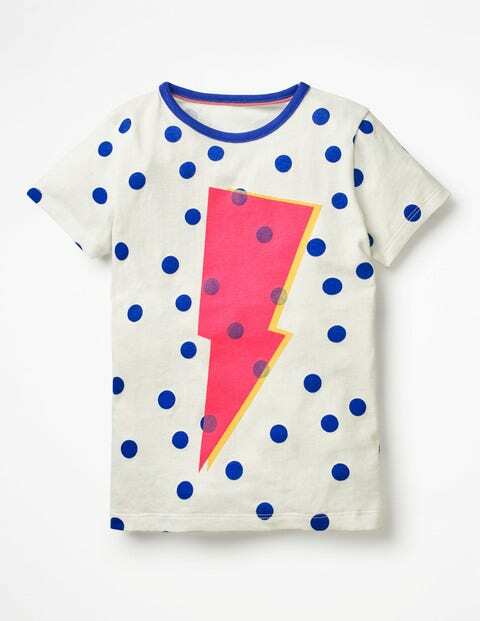 Whether it's play dates or ice skates on the agenda, this dotty T-shirt with neon printed graphic will make it extra special. Choose from thunderbolt, star or heart designs – they're ready and raring to make little superstars shine bright.